Between Realities. 1769 gram photography. 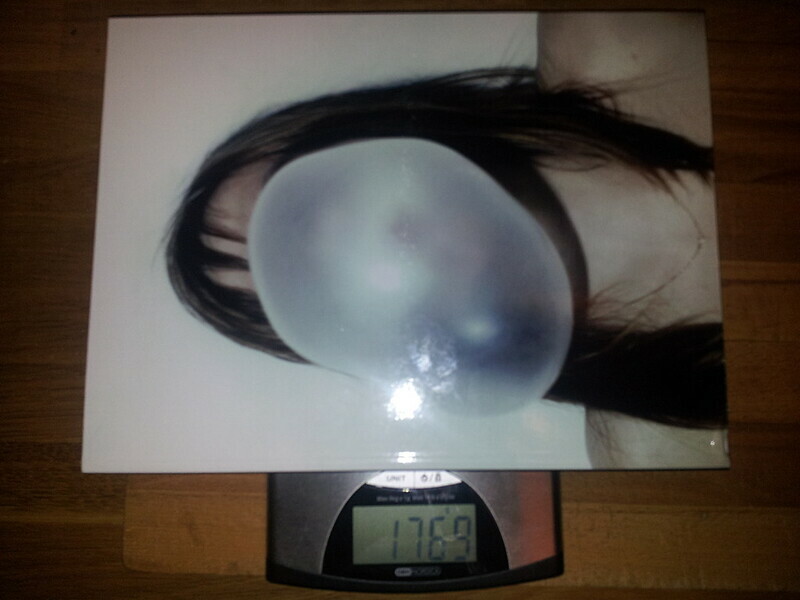 The cover is covered by a bubble gum bubble. November 2014 I started to write this text after having seen the exhibition Between realities at Dunkers. For various reasons I never completed it. Then came, spring 2017, I felt that I had to polish it a little, and publish it. It was my reading of Charlotte Cotton's The Photograph as Contemporary Art, a text I have difficulties to really appreciate, which triggered me to continue. It never happened, though. 19 August 2014 marked the 175th anniversary of the art of photography. At least if we see the release of Daguerre's patent as the starting point of photography. Of those 175 years, about 50 were good years for photojournalism. Its Golden Age started in the 1930s. Figure 1. The number of sales of paintings recorded at major auction houses from year 1970 to 2013. The four graphs represents four segments. These are from top to bottom graph year 2000: (1) Impressionism and modern (solid curve), (2) post worldwar 2 and contemporary (short dashed), (3) American (long dashed) and (4) Latin American (long and short dashed). For more precises definitions of the categories please refer to Kräussl et al. (2014). The 'Golden Age of Photojournalism' is often considered to be roughly the 1930s through the 1950s. It was made possible by the development of the commercial 35mm Leica camera in 1925, and the first flash bulbs between 1927 and 1930 that allowed the journalist true flexibility in taking pictures. The Golden Age of Photojournalism ended in the 1970s when many photo-magazines ceased publication. They found that they could not compete with other media for advertising revenue to sustain their large circulations and high costs. Those other media were in many parts of the commercial television. Interestingly, now thirty years after the demise of the photo-magazines we see how the daily newspapers are losing advertising revenue since advertising is now moving to the Internet. It is also interesting to note that the genre started because of one technical innovation, and that it in its current form started to decline because of two other changed the viability business models of the press: television and the Internet. From A WAY OF LIFE . Be that as it may, but the curators has recently been even more inclined to summarize their stories of Swedish photography in a number of retrospective exhibitions here in Sweden. 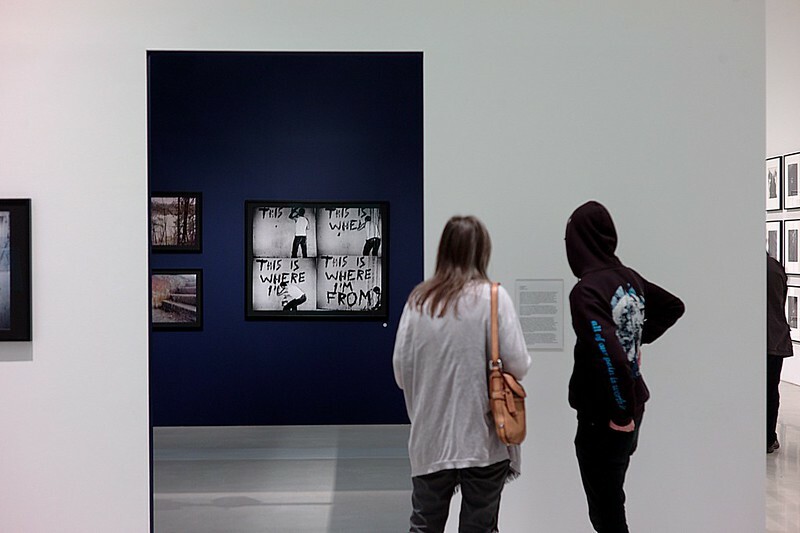 There have also been group exhibitions following some threads from the past into the present. Less than half a year ago there was one opening at Moderna Malmö which has now moved the Stockholm head office, entitled A WAY OF LIFE: Swedish photography from Christer Strömholm until Today. The whole idea of this uncompleted entry is to correlate the demise of the glossy magazine with rise of photography as an art form, and how the prices of photography follows the ones in art into the hypothetical bubbles of the western economies. As usual the reality isn't as easy to grasp as you believe when you start formulating the hypotheses. A lot of things distracted me: Someone didn't want to share their data, and I got bought a new computer going from SUSE to Ubuntu forced me to migrate my environment, and when that was done there was no energy left for what is importan: Writing and making photographs. My attention was drawn in other directions, the most important one was the social media notably twitter which didn't require a whole computer and permitted me to sit and participate in the global exchange of fast food like content. Kristoffer Arvidsson, Louise Wolthers & Niclas Östlind (editors), 2014. Between realities. 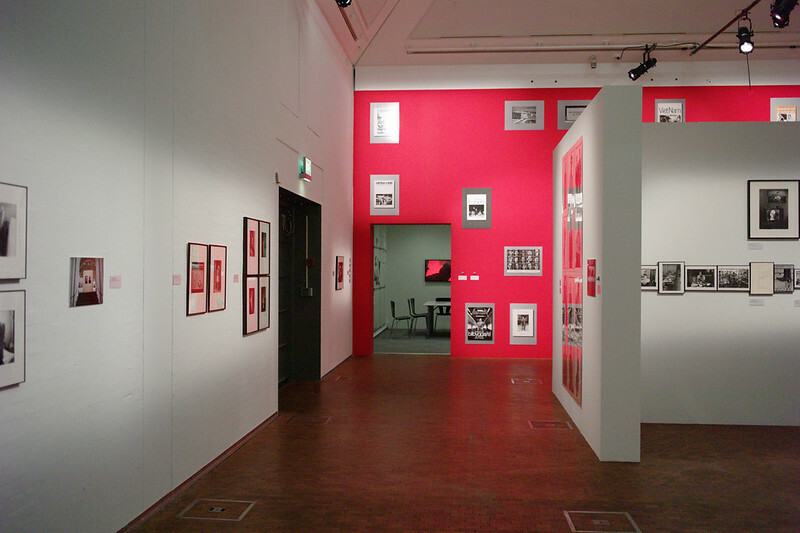 Photography in Sweden 1970–2000 Bokförlaget Arena, Lund 2014. Charlotte Cotton, The Photograph as Contemporary Art, Thames & Hudson, 2014. A. E. Scorcu & R. Zanola, 2011. "Survival in the Cultural Market: The Case of Temporary Exhibitions," Working Paper Series 36_11, The Rimini Centre for Economic Analysis. Kenneth Wieand, Jeff Donaldson & Socorro Quintero, 1998. "Are Real Assets Priced Internationally? 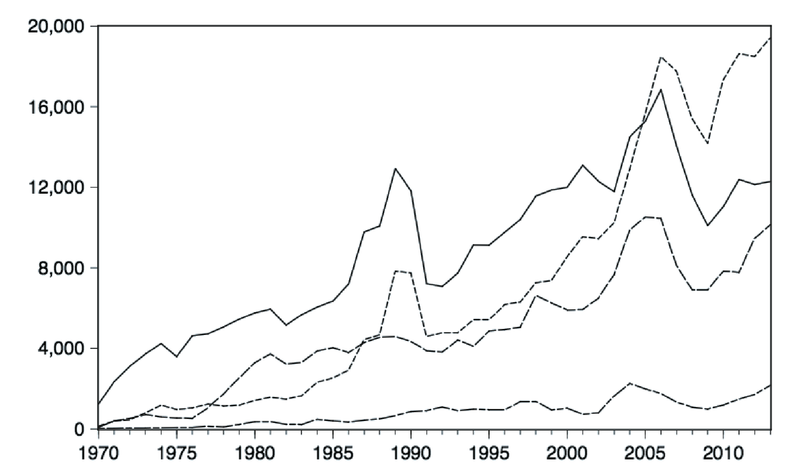 Evidence from the Art Market," Multinational Finance Journal, vol. 2(3), pages 167-187, September. Nandini Srivastava & Stephen Satchell, 2012. "Are There Bubbles in the Art Market? The Detection of Bubbles when Fair Value is Unobservable," Birkbeck Working Papers in Economics and Finance 1209, Birkbeck, Department of Economics, Mathematics & Statistics. Roman Kräussl, Thorsten Lehnert & Nicolas Martelin, 2014. "Is there a Bubble in the Art Market?," LSF Research Working Paper Series 14-07, Luxembourg School of Finance, University of Luxembourg. 2015-10-08 Are the Ways of Seeing Francesca Woodman and Edith Gowin the same? Sigfrid Lundberg's Stuff is licensed under a Creative Commons Attribution-ShareAlike 3.0 Unported License.